I don't intend to write in detail about all of our London outings. There would be too many posts, and there is plenty written about London already. 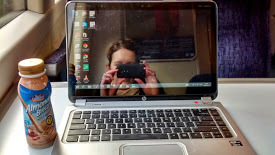 This blog is not the best means of extending the existing literature! However, I do envisage occasional posts like this one, highlighting certain places. Today, we are swinging from south of the river in Greenwich and Blackheath, to well north of it in Camden. We end with an amazing raw vegan chocolate cake! First, Greenwich. Best known as the home of Greenwich Mean Time, it features the Royal Observatory, National Maritime Museum, Old Royal Naval College, Cutty Sark, Queen's House, Greenwich Market, and gorgeous Greenwich Park. The whole area is a World Heritage Site, and the park itself is London's oldest Royal Park. 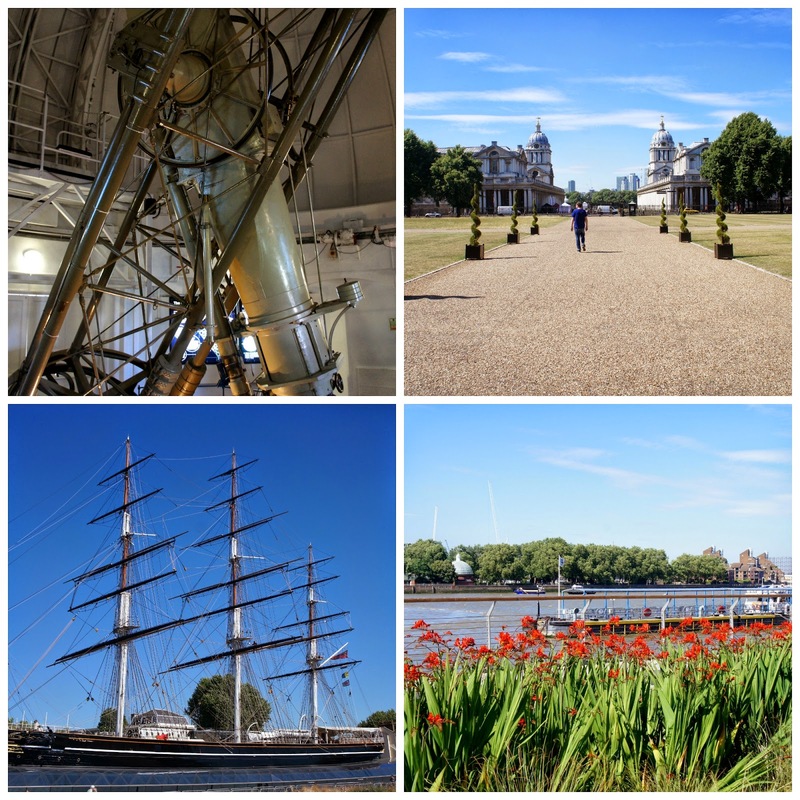 We haven't been to all of the Greenwich attractions, but we have enjoyed the park, visited the observatory, and wandered the Queen's House. The markets are high on my list of places to visit too, not least because they feature vegan baked goods on weekends! The observatory has two parts. Entry is free to the Astronomy centre and galleries, which focus on the origins of, and discoveries regarding, the stars, planets and universe. It costs £7 to enter Flamsteed House and the Meridian Courtyard. Flamsteed House is the original observatory building, designed in 1675, and it houses some of the oldest and most esteemed time keeping devices worldwide. Greenwich Park - Londoners seem to sunbathe anywhere when the sun is out! For us, taking in a dose of astronomical history was nicely followed by unstructured wandering. Down the hill from the park and observatory is the Queen's House, built in 1616 by Charles I for his Queen Henrietta Maria. Entry is free, and while the building itself is worth seeing, it also houses an extensive collection of paintings, with a particular emphasis on naval history and coastal scenes. From the Queen's House, you are well positioned to visit the National Maritime Museum, Cutty Sark ship, Royal Naval College, or town centre. However, we did none of those, except for seeing Cutty Sark from the outside. Right by it is an underground tunnel connecting the north and south banks of the Thames River. We were (perhaps overly!) thrilled by the idea of walking under the Thames, and I can recommend it as an easy and uncrowded way of crossing the banks from Greenwich. 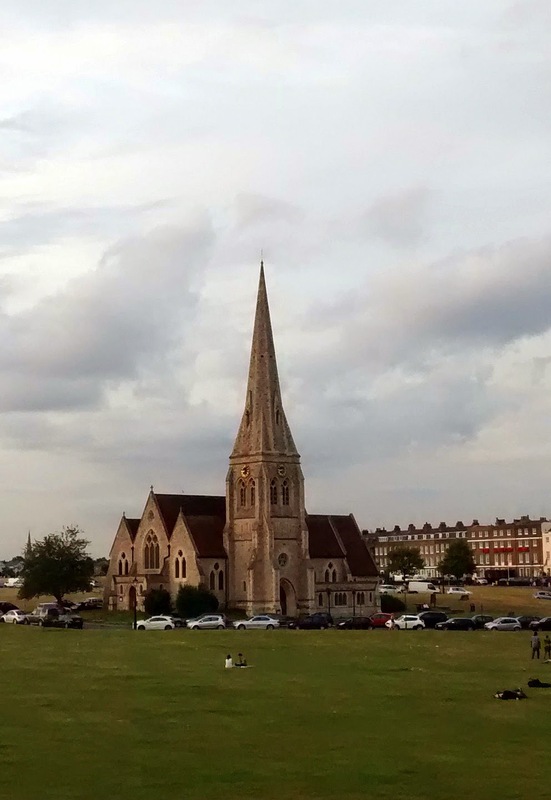 If you were to go north instead of south, back past the Greenwich attractions, through Greenwich park and up a steep hill, you would reach Blackheath. Not as well known as Greenwich, it is home to a large heath and a small village. It is an area that epitomises the "London as a series of villages" expression. One of the striking things about London is the variation in people across different sections of the city. You can have crowded tourist areas, districts full of men in suits, multicultural hot spots, refined mansions, historic buildings, and young families within a small vicinity. Blackheath is a cross between refined mansions, historic buildings, and young families. 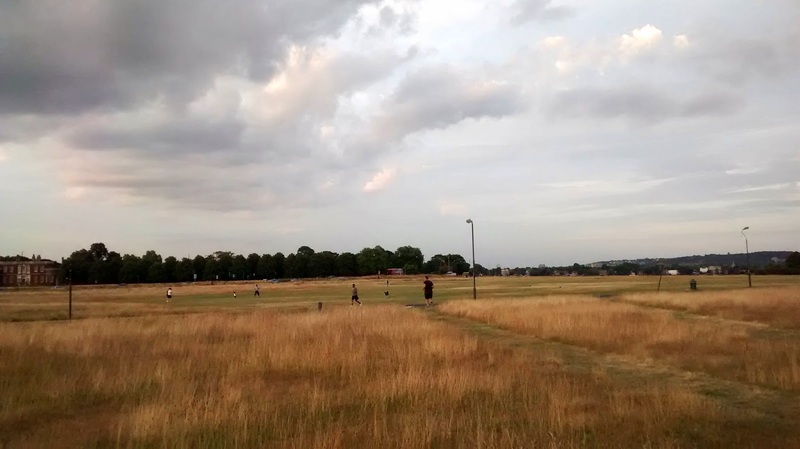 The heath grants space to runners, children flying kites, men playing football, and parents pushing prams. The nearby high street is home to a mix of chain and unique shops, with plenty of places to relax with a drink or meal. Somewhere with fewer families but far more tourists is Camden, some 10 miles to the north. Camden Markets have become infamous, and are now a tourist sight as much as somewhere to shop. It is not somewhere I expect we will go often, and Mr Bite may have made his first and last visit (he dislikes crowded markets)! The area is, however, beautifully set on London's canal system. Camden Lock is the only twin lock remaining on the canal (there are two locks side by side), and is thus heritage listed. For most people visiting, the canal simply provides a colourful backdrop to shops, cafes, and bars. There are six separate markets or shopping sections in the area, and they are all busy. I didn't subject Mr B to much shopping, and instead steered us in a relatively straightforward line to inSpiral Lounge. inSpiral is a cafe and store that is fully vegan in its food and drink offerings, and has many raw and gluten free products too. We visited in the late afternoon and thus benefited from a generous afternoon tea, but their main meal options are also very appealing. You can eat in the on-site cafe, which has indoor and outdoor seating, but we chose to try our luck with canal side seats. We were fortunate to find some immediately opposite the cafe, on the edge of Camden Lock Markets, where old motorbikes have been reconfigured to provide individual seats overlooking the water. We purchased a raw vegan chocolate cheesecake, and a pot of raw vegan chocolate mint ice cream. Both were amazing, and easily met Mr Bite's approval as well as mine. After some hours of walking, it was blissful to sit and enjoy the food in the crisp late afternoon sunshine. So there we conclude three quite different London areas, all with their own appeal and own attractions. I recommend any and all, albeit not all on the same day! Information on Greenwich attractions can be found at http://www.visitgreenwich.org.uk/ and information on the Camden markets at http://www.camdenlock.net/ . inSpiral Lounge is open daily from morning until at least 10pm. They are located at 250 Camden High Street, immediately before the canal. Full details are at http://www.inspiral.co/cafe/ . Have you enjoyed any local sights / attractions recently? You sounds like you are really enjoying some time exploring london - I remember visiting Greenwich with my parents but didn't discover that tunnel - it is just the sort of thing I would love and I think I might enjoy walking it alone though I don't know if it might be a bit spooky. I also did the mandatory visit to camden but it wasn't my patch and I never got to blackheath - sounds more my sort of place - though I was surprised at all the yellow grass (or is it crops) in the heath photo. I was worried the tunnel would be a bit creepy - or just feel unsafe - but it didn't when we went through. I imagine you wouldn't use it after dark (like so much of London! ), but I got the sense that locals use it as part of their standard way around. They yellow grass surprised me too as I am so used to England being green. I think it is the type of grass although am not certain - it doesn't seem burnt or yellowed by the sun as Australian grass can be, just a pale colour. Thanks for taking us along on your journey, I so enjoyed the adventure, your pictures are quite lovely. Enjoyed the mini-tour from my home in Texas! We visited London a couple of years ago, but didn't have time to see some of these places like we wanted to. Maybe someday! I am mesmerized by that staircase! And the vegan chocolate cheesecake. whoa. Yum. That chocolate cheesecake looks incredible! Ooh, I love that staircase shot! Awesome! look at all those amazing places. You make me want to dust off my passport Kari...rather a lot actually. Love the tunnel shot and the spiral staircase. Passports are nice to dust off every now and then - hopefully if and when you do, you'll get to soak up some beautiful sights of your own (although your local sights are equally beautiful also). I love all your gorgeous photos - and I am so coveting that cheesecake! If I manage to recreate it, I will make sure to share the recipe! I love that you're exploring the city! When you live somewhere it's easy to forget to venture from your usual haunts/routes. I haven't been to Greenwich for ever!